This 3-Day Course will focus on design of transmission and distribution protection schemes utilizing advanced and highly reliable technology. This will include fundamentals on protection, relay design and protection schemes for transmission lines, transformers and bus. Additionally the course will focus on settings of feeder and transformer protection schemes, and selection of current and voltage instrument transformers for those protection schemes. Issues surrounding power quality and their effect on power systems will also be addressed. This will include measurement and modelling techniques to identify power quality problems and mitigating techniques. Impact of electrical overstress on the design and operation of power systems and electronic equipment will be discussed and protection systems will be modeled to eliminate equipment malfunction and damage due to electrical overstress. All delegates will EARN 3 CPD POINTS for attending this Course. The Credits can be claimed from ECSA upon completion of the Course. Professor J. Walker is the director of a technologies company that specializes in consultation on High Voltage insulation testing as well as the supply of test equipment for High Voltage applications. He is a Doctor of Technology graduate from the Vaal University of Technology, completed in 2005 with a thesis titled “Diagnostic Evaluation of Water Tree Aged XLPE-Insulated Cables”. He started with a Higher National Diploma in Electrical Engineering acquired at Vaal Triangle Technikon where he later worked as a lecturer in the Department of Power Engineering after completing his Bachelor of Technology Degree. In 2005 Professor Walker was appointed as Associate Professor at Vaal University, and subsequently the head of the Institute for High Voltage Studies, a position he held until his retirement the following year. 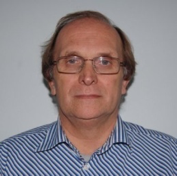 He has over the years of acquiring field and academic experience; he also published a number of articles and journals on electrical power systems, and has presented a number of papers at local and international conferences.